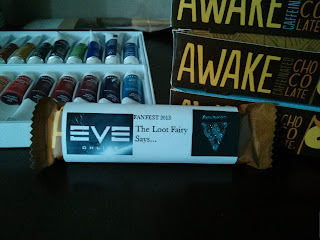 One of the best parts of Eve is that you can put it down and walk away without loss to your character's advancements. One of the worst parts of Eve is that you can put it down and walk away and watch all of your projects fall apart. I have gone through everyone's skills and adjusted them over to something that takes at least two weeks to finish. This lets me travel without worrying about skill training. I've fueled my POSs, emptied my silos, and stocked my store. I'll probably continue to stock the store but I will use Red Frog to move the items. I expect to have down time to log in. I'm slowly coming to accept that it will be a thin two weeks for the store. I assume everyone will make it through. The back of my mind has this intense worry that someone will come and take over my store, ousting me from Bosena. I need to finish a fiction project that I badly want to post on Tuesday when I leave. I know I haven't been posting Origin stuff (I have several rough drafts!) but this one project is the largest I've yet done and I hope people will like it but its sucking up a lot of my creative energy that's left from my Awake Chocolate Project. And I am wrapping candy bars which involves playing with glue, glitter, and tape. It is rather fun but it occupies the hands and decreases typing. Plus my mind is focused on planning so blog posts are not falling out quite as often. There is also a rather lol oil painting I am drying out for Kaeda. And I keep going out on fleet ops. Life as tackle is fantastic. I actually whine when people want me to fly other things. I need to stop doing that. It is a terrible habit. 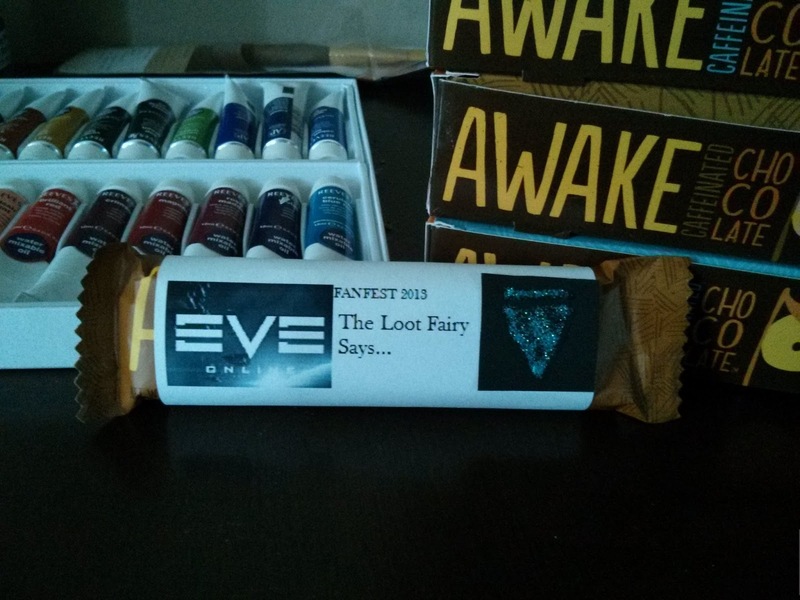 Find me and my Chocolate Swag at Fanfest, 2013.